The basic principle of solar thermal heating is to utilize the sun’s energy and convert it into heat which is then transferred into your home or business heating system in the form of hot water and space heating. 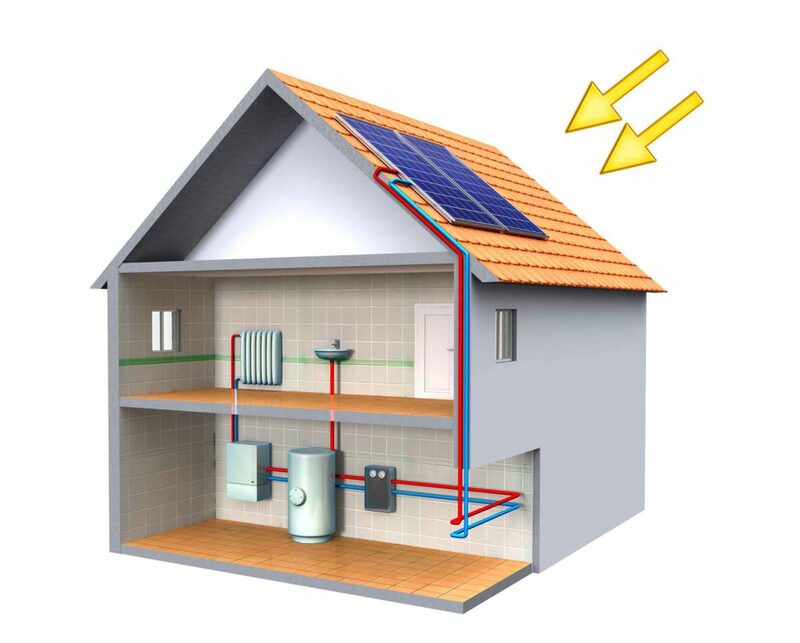 The main source of heat generation is through roof mounted solar panels which are used in conjunction with a boiler, collector or immersion heater. The solar collector will use the sun’s rays to heat a transfer fluid which is usually a mixture of water and glycol (antifreeze) which prevents the water from freezing. The heated water from the collectors is pumped to a heat exchanger which would be inside the water tank in your home. The heat from the exchanger will then heat the water inside the tank. After the liquid releases its heat, the water will flow back to the collectors for reheating. A controller will ensure that the fluid will circulate to the collector when there is sufficient heat available.